Join us for our monthly Tea Room Brunch on Friday, February 22nd from 11 AM till 3 PM. 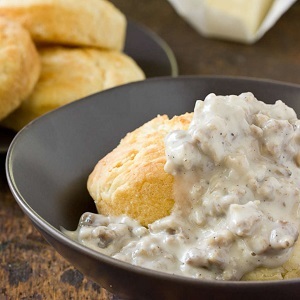 This month, Chef Ashley will be making some good ol' southern biscuits and gravy! We'll also have other bunch goodies hot and ready. Join us! Open to LGBTQ young adults and allies, ages 18-29. FREE.